A successful Youth Leadership Forum was organized in Kenya by Sennane Riungu (read her report), a 2006 University of Nairobi Sylff fellow, with the support of a Sylff Leadership Initiatives grant. 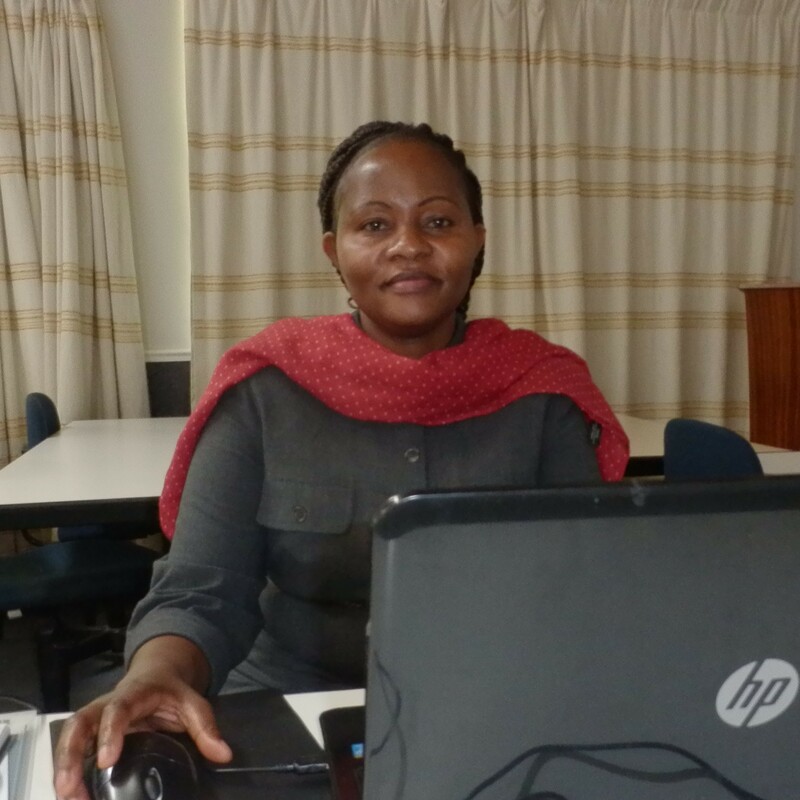 Dr. Jacinta Mwende Maweu, a 2004–05 Sylff fellow at Nairobi University and now a lecturer at her alma mater, was asked by the Tokyo Foundation to attend the Forum as an observer, and here she offers a first-hand report of the Forum. University of Nairobi fellow Sennane Riungu, who organized the Maara Forum, addresses the participants. The first-ever Youth Leadership Forum was organized by Sylff fellow Sennane Riungu in Maara Constituency, Meru, Kenya, between December 9 and 11, 2013. Dubbed “Leading the Leaders Forum,” the event brought together 30 youth leaders from 15 community organizations and self-help groups in the constituency. The Forum was aimed at providing intensive training and professional development skills to youth leaders to enhance their effectiveness in their respective organizations. Maara is one of 290 electoral constituencies in Kenya (one of three in Tharaka-Nithi County) and has a population of 107,125 people, according to the 2009 census. The training sessions were mainly interactive, as the facilitators encouraged the participants to ask questions and to come up with ideas to illustrate such “academic” concepts as SMART (specific, measurable, achievable, realistic, and time-bound) objectives. The facilitators helped the participants seek local solutions to the challenges facing them, both as individuals and as leaders. The facilitators made the participants understand why they cannot be effective group leaders unless “they are first leaders of their own lives.” The participants were highly enthusiastic and eager to “improve themselves,” as most of them said when asked why they put aside their engagements to attend the two-and-a-half-day Forum. Mr. Otieno Atoh facilitating a session on personal growth and development. Mr. Atoh, the facilitator, took the participants through the main principles of personal growth and development and emphasized that they can achieve their life goals only if they first know themselves. He invited them to ask, “who am I and what is my life’s purpose,” pointing out that the main reason most people remain poor or fail to actualize their life goals is because they do not know what they want out of life. He then asked all the participants to write down what they want to achieve in life and how they intend to reach those goals. Each participant was then challenged to share their dreams and execution plans with other participants, who offered their reactions. From the animated exchanges, one could tell that the session was a real eye opener. The participants came to appreciate the fact that anyone can become successful if they clearly understand what they want out of life, are committed to pursuing their life goals, prioritize and learn how best to achieve those goals, create action plans, be willing to take the first step and to confront challenges, learn the virtue of perseverance, and never give up. The facilitator also urged the participants to have the creativity to look for solutions to any challenge they face, instead of despairing and resigning themselves to their fate. Taking into account that 60% of the Kenyan population live below the poverty line surviving on less than $2 a day, this was a very relevant session for the participants. The facilitator encouraged them to continually think of new ways to better themselves as individuals and as a group. He underscored the fact that the participants should not feel powerless and destined to remain poor simply because they do not have white-collar jobs. There are so many resources in the constituency, he said, that the participants can mobilize to improve their economic status. Mr. Atoh also took the participants through what it means to be a leader and how to raise their effectiveness. The facilitator challenged the participants to explain why they considered themselves leaders in their respective groups and also asked them to identify qualities that would make them stand out further. He explained that leadership is a process of influencing, guiding, and directing other people to achieve a common goal. Therefore, to claim to be a leader means one must be seen as being able to influence and guide others to toward common objectives. Mr. Atoh therefore had the participants conduct a self-assessment. He explained that as leaders, they must be creative enough to initiate ideas that can motivate their colleagues to rise above the current situation. As leaders they must have the entrepreneurial and management skills to add value to the group as a whole. Forum participants during a session at Transit Motel Chogoria. The participants were also introduced to different leadership styles, such as relationship-oriented and task–oriented approaches, saying that the best leadership style is one that can facilitate the achievement of the group’s objectives. In this session the participants learned about team building and the importance of working as a team. The facilitator emphasized the value of unity and cohesiveness, especially at the grassroots level, in helping each other attain economic empowerment. The facilitator for this session was Ms. Linda Aduda, who outlined the key steps in project planning and management, including how project proposals should be developed to qualify for grants. This was an interactive session where each participant was asked to come up with a project idea; one was then chosen to be developed by the group, with participants learning how to write a successful project proposal. This was a very timely and relevant session, as many of the leaders had been hiring people to draft the proposal for them. They were happy that they would now be able to come up with their own proposals in applying for funding. Ms. Aduda also focused on how to monitor and evaluate the progress of projects. The participants were engaged in various activities, either as a group or as individuals, including dairy farming, poultry keeping, crop farming, small-scale businesses, dress making, and running hairdressing and beauty facilities. The facilitator challenged them to monitor and evaluate those operations by “taking stock” of the progress made in their projects, looking for ways to minimize risks, and effectively managing competition. She also spoke about strategic planning, on which, she explained, the success of any group or organization hinges. Ms. Aduda noted the importance of coming up with various strategies to achieve personal and group objectives. The facilitator challenged the leaders to continually do a SWOT (strengths, weaknesses, opportunities, and threats) analysis so that they can strategically actualize their set objectives. In this session the participants were also trained to come up with a mission and vision statement to give the group greater focus. Most participants were unaware of what a vision and mission statement should contain, and Ms. Aduda helped them to develop one. At the end of the session, each group leader had come up with a mission and vision statement for their respective groups. Participants at the Maara Youth Forum. Dr. Jacinta Maweu and the organizer, Sennane Riungu (holding her daughter), are in the front row toward the right. I can say with confidence that the Maara Youth Forum was a great success and that it was money well spent. The forum was the first of its kind in the deeply remote Maara Constituency. Most participants observed that if they had received similar training in the past, they would have been “very far” along the path toward achieving their goals. They noted that it was the first time that they had gained such training on critical issues concerning their lives as individuals and leaders, and they promised to pass on the skills and knowledge gained to their group members. Without doubt, the Forum provided the participants with much needed knowledge and skills to enhance their effectiveness and competence as youth leaders. I believe the training went a long way toward empowering the participants of Tharaka-Nithi County—which I was visiting for the first time—and making a difference at the group and society level. I would also like to congratulate Sennane Riungu for coming up with the idea of organizing the Forum. As many participants observed, we need many more young leaders like her with a focused vision to make a difference at the grassroots level, not just in Maara Constituency but across Kenya, if the youth are to move to the forefront of the fight against poverty and the realization of Kenya’s Vision 2030. Jacinta Mwende Maweu is a Senior lecturer in Philosophy and Media studies at the University of Nairobi, Kenya. She holds a PhD from Rhodes University, South Africa, a Master of Arts in Communication and a Master of Arts in Philosophy from the University of Nairobi, Kenya. Her key research interests include: Media and Human Rights, Peace Journalism, Media, conflicts and Peace building, Media Ethics, Political economy of the media, Philosophy and Culture, Philosophy and development and Socio-Political Philosophy. She is a Co-convener of the Media, Conflicts and Human Rights at the International Peace and Research Association (IPRA).